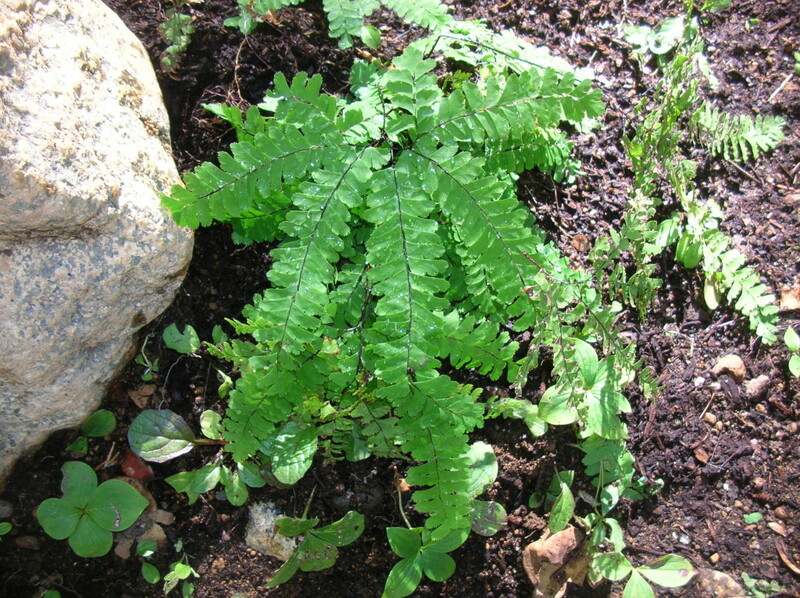 Adiantum aleuticum, Western Five-finger Fern, is native to Siskiyou County and throughout western North America. Forked fronds make a fingerlike pattern atop slender stems reaching 1 to 2-1/2 feet tall. Provides interesting texture for deep shade gardens.